Hand Made in Sri Lanka from Coir coconut fibre. Approximately 15.5 x10cm excluding metal loop. 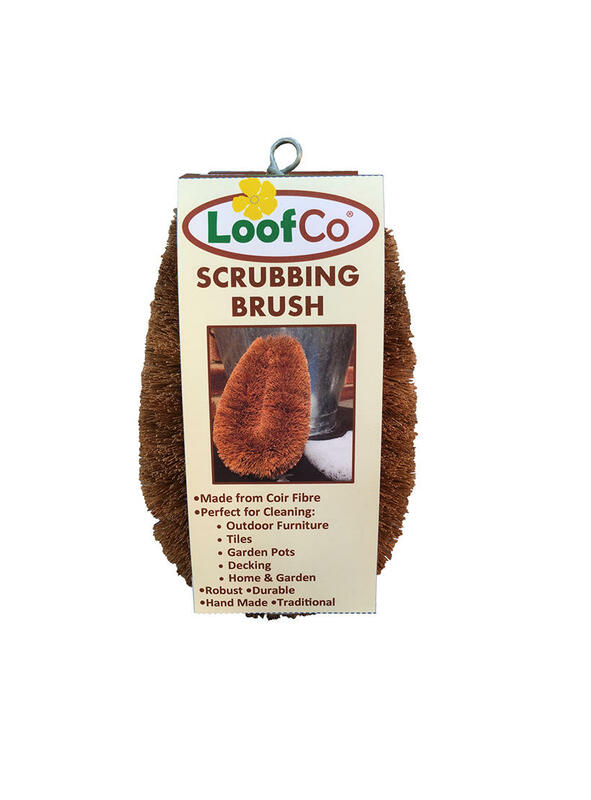 The traditional design of the LoofCo Scrubbing Brush creates rigid directional fibres for when extra scrubbing power is needed. Easy to grip and perfect for garden jobs like cleaning pots, scrubbing wooden garden furniture, patio and outdoor tiles. Rinse thoroughly before first use. Immerse in warm water and use with detergent or water alone. After use, rinse well and shake out excess water and hang to dry from the metal loop. The galvanised metal core will not rust. Will last for months in normal use and when worn out can be recycled. The coconut palm tree or Cocos nucifera is known as the “Tree of Life” for its abundance of uses from food & oils to brushes and mats. It is a sustainable, robust resource. Coconuts palm trees produce a crop of up to 20 coconuts every month up to 100-200 coconuts a year. Coconut fibre (coir fibre) and coconut husks are a 100% natural, renewable & biodegradable by-product of coconut harvesting for the coconut food and oil industry. 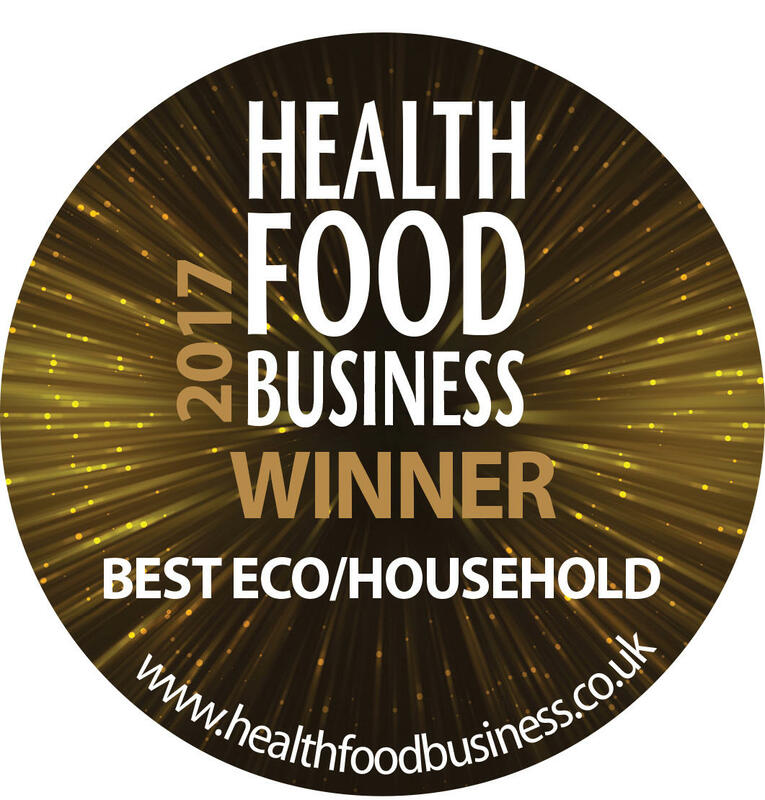 Using Coir fibre and Coconut husk in household products is an environmentally responsible way of utilising a by-product that might otherwise be burnt. Coir is the fibrous material found between the hard, internal shell and the outer coat of the matured brown coconut husk. 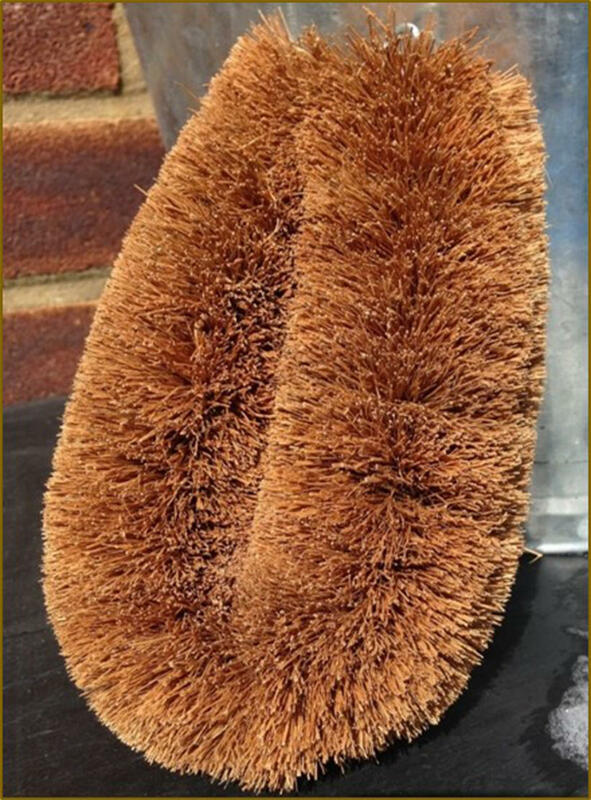 The strong fibre (used for brushes) is separated from the weaker soft fibre (used in mattresses) & coir dust (coco peat). Coir remains stiff when wet, and its hydroscopic properties means that it holds liquids well. Coir is naturally free of bacteria, plant disease, fungal spores, weeds, seeds and pathogens. Coconut is a sustainable plant-based resource that is biodegradeable. Metal core of brushes is galvanised iron that will not rust & is recyclable . LoofCo coconut products are made in Sri Lanka by small cottage industry producers. LoofCo products help preserve traditional skills and provide valuable employment in rural areas. Individual production workers take pride in ensuring attention to product details. The coconut farmers and production workers are treated fairly and their wages and benefits are higher than normal rates. No children are employed.